Get Boosted with this Mobile Salon! When we feel good, we want to show it off! For some, this could mean increased instagram posts, increased selfie collection in your phone and/or increased time staring at yourself in the mirror. We all do it -- best outfit on and hair slayed to perfection. We dub this phenomenon THE BOOST! In the case of Ashley Crews, we are here for it. 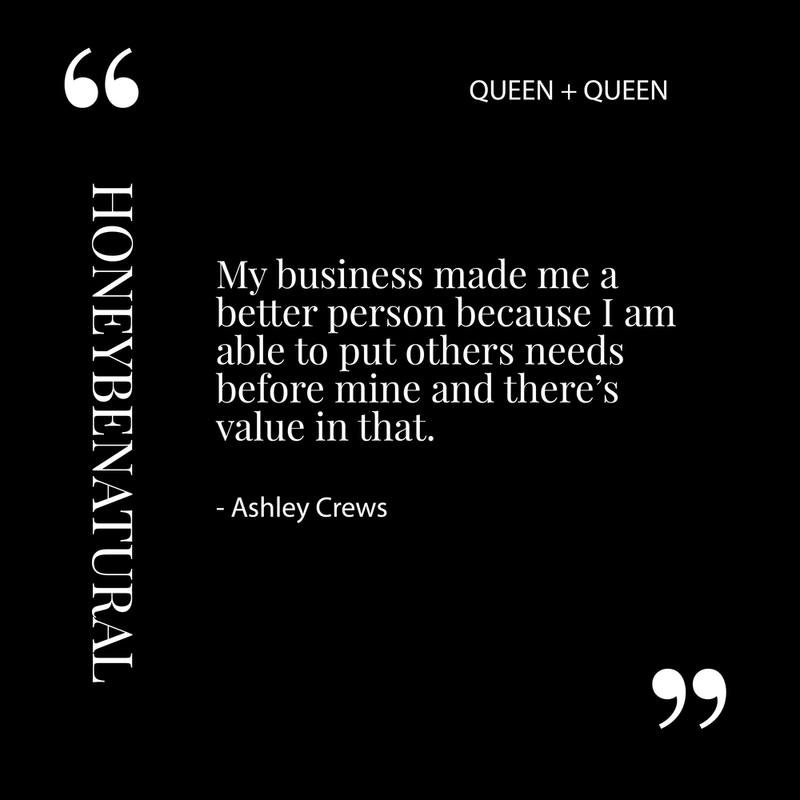 Through her business HairVention, based in New Jersey, Ashley took advice from an old colleague and transformed her advice into an empowering, self-love based business, HairVentionZ. HairVentionZ is an on demand healthy haircare and wellness business, based in NJ traveling to NYC, and MD. In Ashley’s mobile salon, her mission is to improve the natural hair movement by giving women a natural boost. Whether it's in the shop or the comforts of your home, Ashley aims to slay your hair while educating. She prides herself on growing with her clients and just simply doing the best damn job possible! We think Ashley Crews is the epitome of taking a concept and making it your own. We can get used to a stylist coming by to empower and transform our look. We see you GIRL and dub you the Queen of the natural boost! What inspired you to start your business and why? : My inspiration came from an old colleague turned friend. She saw my talent in hair when I would style my own natural hair in cute braided and twisted updos when I would go to work. At first, she didn’t believe me but when I told her the history she strongly encouraged me to start a business to style other people’s hair besides my own. I have been styling hair on and off for about 19 years now. I was 9 years old when I started and by the time I was 13 I had developed an impressive clientele. When I got into high school my focus became college oriented because I didn’t value hair as much to make it a career at the time. It wasn’t until after getting my masters and fully emerging in the natural hair epidemic that I began to do hair again. I wanted to be a vessel in the natural hair movement, helping newly naturals with hair advice and styling as well as working moms with little girls who needed help styling their hair at an affordable rate and convenient location (their home). My friend believed in me and I am glad I took her advice. HairVentionZ will be 4 years strong November 2018 and growing. Thank you Risi. How do you create the life you want? : I created the life I want by taking advantage of all opportunities presented to me and seeking the opportunities that I would like to be a part of. I also take part in developing a schedule that is convenient for me to do what I love best in the hair and health industry. Where do you find inspiration? : My inspiration comes from my clients. They are the ones who have patience with me as well. They always give me compliments on my work and some, even, work with me when I express to them I may not be the best at the style they are trying to achieve. My clients inspire me to do better, be better, and keep going! What makes you HUMAN? : Mistakes make me HUMAN! Along with fear. For so many years I was fearful of stepping out of the “norm”. But when I did and started my business it helped me to become a stronger human being, allowing me to realize my strengths and focusing more on what I’m good at rather than what I struggle with. It allowed me to be confident in my work creating my own lane and not an imitation of others. A true definition of what a HUMAN should be. Self Explore, Self Restore. Bettering Your Relationship With Yourself!